My 3 month old baby girl (Jude) is wearing a costume that I made for her. 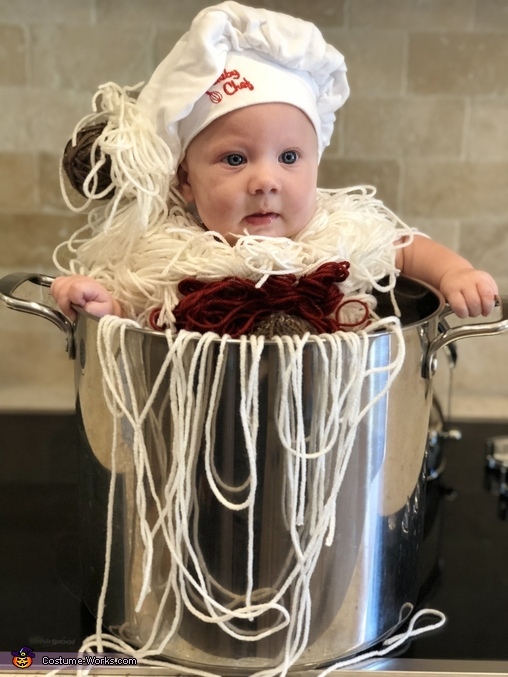 I am a chef so I thought it would be fitting to make her first Halloween costume spaghetti and meatballs! It is all handmade by me.